For a PoC I’m doing I need to connect a netduino to my machine. Since I like to keep my projects separated, I try to use virtual machines as much as possible. I work on a Windows 8 environment, so I have Hyper-V, and set up my VM’s in that. One of the downsides to Hyper-V is you can’t easily access USB devices you plug into your machine inside your VM. Since the netduino is a USB connected device, I have been doing some research, and found out we can use RemoteFX USB redirection for this. First off, on my workstation I went to the Group Policy Editor, and went to Computer Configuration\Administrative Templates\Windows Components\Remote Desktop Services\Remote Desktop Connection Client\RemoteFX USB Device Redirection policies. 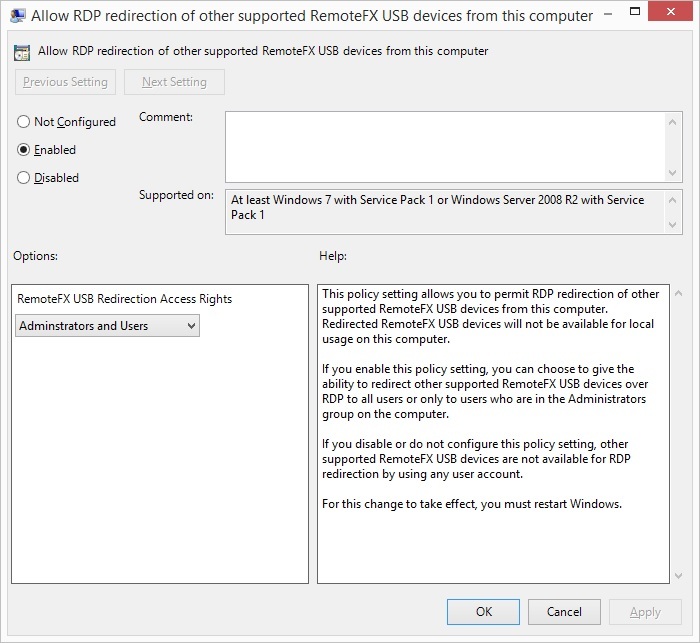 Here we have to enable the Allow RDP redirection of other supported RemoteFX USB devices from this computer policy, I enabled it for both administrators and normal users, since I am the only user on this workstation. Next, open an administrator command prompt and run the command gpupdate /force to apply the changes, and then restart the computer. 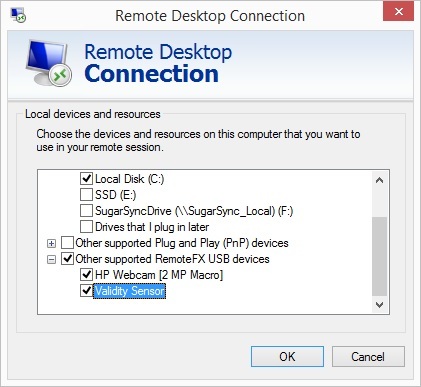 Create a new Remote Desktop Connection to the VM, click on More Options go to the tab Local Resources and click More…. We now have a new category Other supported RemoteFX USB devices. If you do not see the category, make sure you have a “special” USB device connected. Also, RemoteFX USB devices will not work with any OS in your VM, as can be read here. I personally am using Windows 8 Enterprise for this VM. 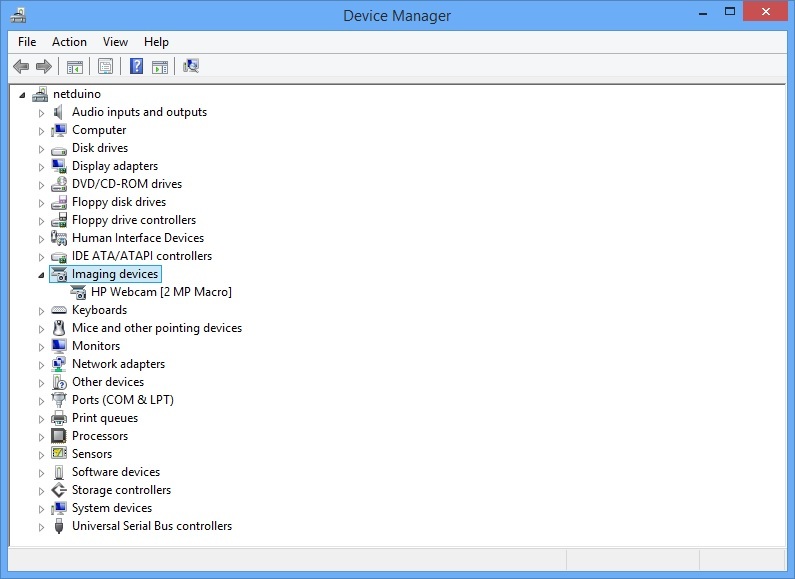 Also remember you will have to install the drivers for your USB device both on the workstation and the VM. This works perfectly for me, I can now use all devices I redirect inside my VM. This entry was posted in Hyper-V, Netduino by Eldert Grootenboer. Bookmark the permalink.